This is going to be a review of the Revlon colorburst matte balm ($8.99 at Ulta) in the shade unapologetic. In this post you can find a detailed review, swatches and pictures. The other shades that are famous from this line are shameless, mischievous stand out and complex. If you’re wondering where to buy you can find them popping in your local drugstores and since its Revlon you will e able to find them easily now. The other part of the release was the lacquer balms which as the name suggests are creamy finishes. What does Revlon say about this product? 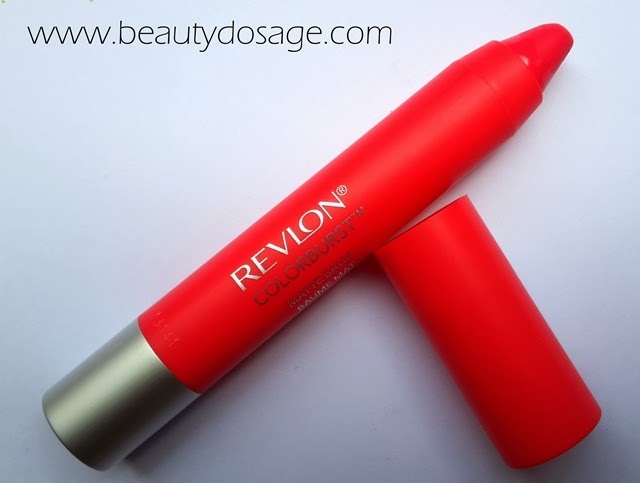 When I got to know about this product initially it made me confused if it were just the same Revlon just bitten kissable for the obvious similarities in packaging. So I think personally Revlon followed the band wagon that L’Oreal created where they released lipsticks both of lacquer and matte finishes. Either way I’m in love with this product! I personally love matte finishes and if your one who has a great passion for matte finishes you need to grab this. Initial impression was the scent of this. Have you guys had polo? The minty thing? It smells just like it! And also it does give a minty tingle at first but both the scent and the tingle disappears after a few minutes so if you do not like the minty scent you can still use this. Packaging wise I think Revlon has done a great job the facts I loved about packaging is the sleek easy to use twisty tube format just like the just bitten kissable. It’s an easy form to use on the go without worrying about sloppy application. I love the fact that you do not need to sharpen it and also a special touch that Revlon has packaged the matte versions with a matte packaging and the lacquer version with a glossy packaging. The matte balms stay on my lips for a good 5 hours until I need reapplication. I find that the matte finish of these do not dry out my lips as a normal matte formulation does. It’s pretty hydrating for the lips which is such a great thing! One thing that you need to be careful about is that the consistency is so creamy that you might just slide it across your face so you need to e extra careful. 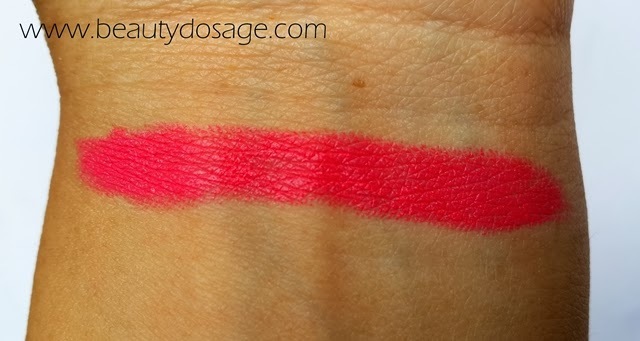 The shade unapologetic is a lovely warm bright pink which border lines between a coral and pink. It’s perfect for girls with warm, yellow undertones as opposed to cool toned purple pinks. The pigmentation is phenomenal and I find that these give a better result as opposed to the lacquer balms. 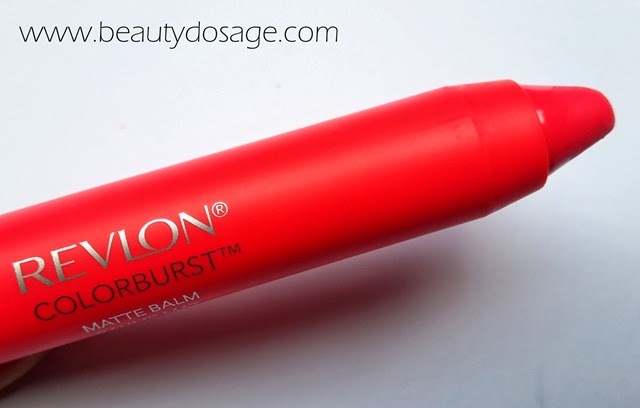 What’s great about the Revlon colorburst matte balm in shade Unapologetic? 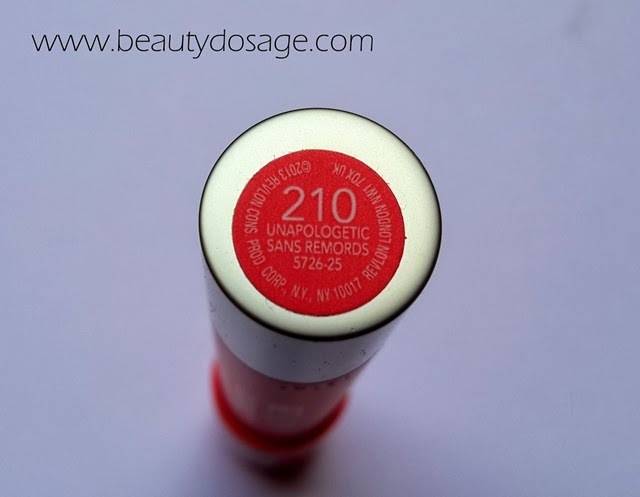 What’s not so great about the Revlon colorburst matte balm in shade Unapologetic? This has replaced my wet n wild mega last matte lipsticks because of the simple fact that this gives a matte finish without drying out my lips. The shade unapologetic is a lovely warm bright pink to suite my skin tone which has a lot of yellow undertones to it. It’s an easy to wear travel friendly lip product too. WOOOW this colour is fantastic!! love it!!! Cannot wait for these to release in the UK!